Murray Gold in his North London home studio, February 2007. 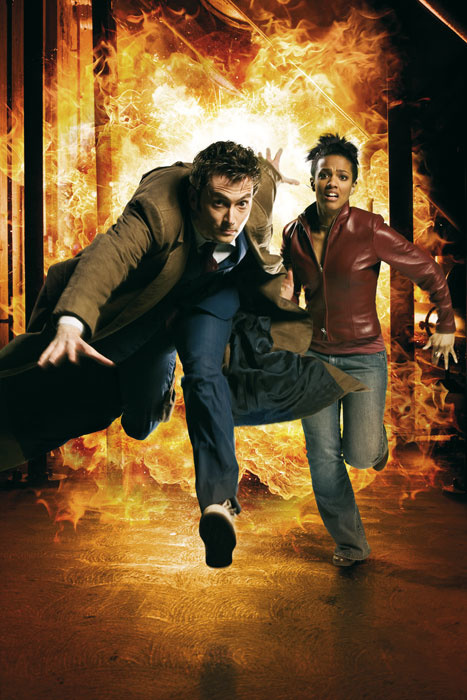 Doctor Who's 2005 revival saw the programme and its incidental music triumphantly reinvented. Gone are the radiophonic textures of old, replaced by a confident orchestral score that stands comparison with Hollywood's best. 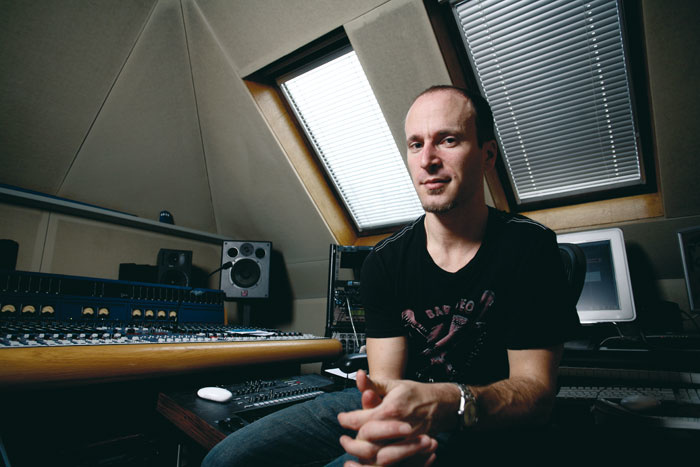 Composer Murray Gold talks technical at his home studio. In Summer 1996, I really didn't know much, but I was convinced of one thing. Following the unsuccessful turkey that had been the previous year's American-led made-for-TV movie attempt at bringing it back, there could and would never be another episode made of Doctor Who, the weekly BBC science-fiction TV show that had captivated me as a child. Cancelled by the Beeb since 1989, this time it would never return. 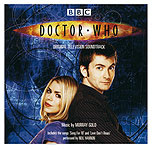 The 2006 soundtrack album, containing much of Murray's work from the first two series, plus the two vocal tracks sung by Neil Hannon. Like I said; I didn't know much in Summer 1996. In Spring 2005, Doctor Who returned to our TV screens as prime-time entertainment on BBC1, just as I remembered it during the peak of my interest in the late '70s and the first half of the '80s. Still more surprisingly, the resurgent show was an absolute tour de force. Sometimes, being completely wrong can be an absolute delight, and no more so than when I see new generations of children pestering their parents to buy them sonic screwdrivers at the checkout in Homebase, or performing the unmistakable Cyberman stomp in Stepney. All of this is thanks to the thorough reinvention of the programme by the current King Midas of TV drama, Russell T Davies, and his creative team at BBC Wales. Davies, an unashamed Doctor Who fan since the '70s, had been badgering the BBC to let him try his hand at re-imagining the program for years, and in 2003, they finally agreed. Not even lead actor Christopher Eccleston leaving the title role after 12 stories put a dent in the show's smash success. A slew of successful spin-offs followed, including toys, DVDs, a soundtrack CD (featuring the Divine Comedy's Neil Hannon on two vocal tracks amongst the mainly instrumental offerings), and even a sold-out concert of the orchestral score. As the success of the last two items indicates, the incidental music in the new series has been very popular. The music of Doctor Who, not least its famous theme tune (see box overleaf) has always been distinctive, and the new production team clearly felt that with so much about the show being rethought, a new musical approach was also needed. Radiophonic textures, small acoustic ensembles with heavily synthesized accompaniment, and fully electronic incidental music, such as had been used on the show in the 1960s, '70s and '80s respectively, were not on the table. The new series needed a score that would rank with that of the best feature films, but there wasn't the budget for a Hollywood composer. Russell T Davies, though, knew who to call. Long-time SOS reader Murray Gold has been a pianist from the age of six, and began playing synths in his teens after lusting after a Yamaha CS01, and ending up disappointed with a Korg Trident instead. He began arranging for brass ensembles at school ("brass is a nice way into arranging, because you don't need as many instruments to sound good as you do with strings") and went to Cambridge University ostensibly to study History, but nurtured musical ambitions throughout. After success with a theatre production at the Edinburgh festival, scoring several TV documentaries, and scriptwriting for Channel 5 to keep the wolf from the door, one of the documentary directors he had worked with, Mark Mundon, landed the plum job of directing a version of Vanity Fair for BBC1, and asked Murray to write the score. Russell T Davies then saw it just as a composer scheduled to score his developing Channel 4 show Queer As Folk parted company with the project. Davies offered Murray the job instead, and both scores were eventually nominated for BAFTAs. As Murray says, "I was 28, with two BAFTA nominations and no agent — and those were my first two big pieces of work! I haven't had a month when I haven't had a job to do since then. I was lucky... I wouldn't like to be coming into this business now." Murray is modest about his big break. "Every week I was on Vanity Fair, I thought I'd be sacked at the end of it. I always tell myself that I never did that job; I was just never fired! I put a lot of myself into it, because I thought I was going to get the boot anyway. It contained a lot of things that I thought music should be; it was really expressive, but messy and anarchic too, with loads of woodwind and brass. Like Charlie Mingus's The Black Saint And The Sinner Lady, which is one of my favourite albums of all time." I asked Murray if it was his choice to use Neil Hannon of the Divine Comedy to sing on the Doctor Who soundtrack CD's two vocal tracks. "Yes! I either wanted Neil or David Bowie. I've always thought Neil has a great voice. And my manager is [Divine Comedy arranger] Joby Talbot's manager, so that helped! I went to Ireland to record him, and took an early backing track, with just a piano and a bass, for him to record to. And then we had a session at AIR Lyndhurst with a band last October. Will there be more songs to accompany the series? "Well, there's one in Episode 4 of the new series, sung by Miranda Raison from Spooks. And I will write to David Bowie after I've finished work on this season. He did Ricky Gervais's Extras; you never know. I'll get my people to talk to his people, as they say! 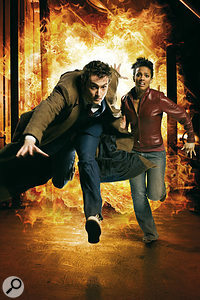 And his people will probably ignore my people..."
The Tenth Doctor (played by David Tennant) and his current companion Martha Jones (Freema Agyeman).Photo: Richard EcclestoneWith several more scores for Russell T Davies projects behind him, Murray was the obvious choice to work on the revived Doctor Who in late 2004: "I have a kind of 'shorthand' when working with Russell now, which is important. I thought it would be a tough gig, but nobody knew that we wouldn't be getting a day off for six months. And I do mean any days off... It's unlike anything else I've done. I like writing music very fast, but nothing quite prepared me for Doctor Who. And the only things that have prepared me for the third series are the first and second series! There was only one type of music they specifically didn't want, and that was Radiophonic Workshop-style electronic stuff. They said they wanted an orchestra. Or rather... the sound of an orchestra — there wasn't the budget for a real one! "I loved synths when I was younger, and even now something goes in my heart when I see the name Roland; that history of the company in SOS a few years ago was like a walk down memory lane every month. I had a TB303 and a TR606 in their little cases, and I've still got a Juno 106 in my storeroom downstairs... although I should have got a Jupiter 6! But I've got this theory that synths are better to play with than they actually are to record with. I write everything for Doctor Who on the piano first, now — because on a synth you twiddle and noodle forever, and never get anything done! Also, I think some of the old Radiophonic Workshop composers only did everything on synths because that was all they had, not because they loved electronic music. For me, sequencing is the big revolution that came from synths. It's like word processing. In the old days, when people wrote letters on typewriters, you had to be really careful, and have everything planned out. Now you can get down the gist of what you want to say and then refine it. But you still have to be able to think of the idea in the first place, and you still have to have the ability to refine it! "I got the VSL libraries for the job, as I thought that would be the best way to do it. To do that, I had to get Logic, and I was a Cubase user! And VSL and Logic only arrived the week I was supposed to start, so I was a bit slow at first..."
AIR Lyndhurst studios, Hampstead, where most of the orchestral sessions for the second and third series of Doctor Who took place.Photo: Richard EcclestoneAccessing Quicktime video files of the completed programme via a secure server, Murray began composing with VSL and Logic, fleshing out his arrangements and assigning sounds as he went. Each episode of Doctor Who contains between 25 and 35 minutes of music per week, so he had a lot to get through. He tried to lighten his burden by creating basic themes for characters and situations, which he could adapt to create more material in different circumstances. 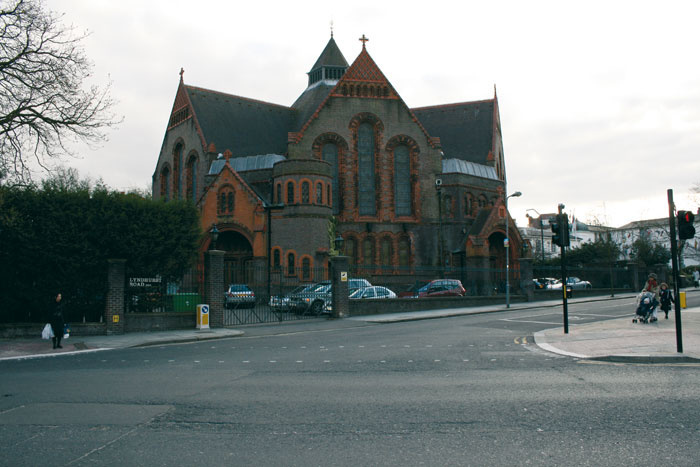 With the exception of a real cor anglais and clarinet, a female solo vocal used to create some of the new series' most haunting themes, and a small choir, which was used for the malevolent chanting in the theme he wrote for the Daleks, the music for the first series was entirely created from samples and finished at Murray's North London attic home studio. He would run sample-based arrangements out of his Mac G5 via a multi-channel Metric Halo 2882 interface into his TL Audio VTC valve desk (he is full of praise both for the desk and for TL Audio's customer service), mix there, and then import the stereo mix back into Logic via an Apogee Rosetta. Another rack of neat but now mostly superseded hardware sits on the floor, including an old Access Virus B synth, a TC Electronic Fireworx effects unit, a Lexicon PCM91 reverb, a well-used Drawmer 1969 compressor/mic pre, an Eventide Eclipse multi-effects unit, and an Apogee Rosetta D-A and Big Ben master clock. The last two units were still in regular use before Gold moved to New York.Photo: Richard Ecclestone"I think in the first series, I still owed a lot to Danny Elfman and his score for the first Batman film. It has what a lot of people would casually refer to as a big movie sound; they call it the 'Korngold' sound in Hollywood. There was a lot of that in the first series, and lots of four-to-the-floor drum loops and sequences, because I didn't have an orchestra, and I had to create some excitement somehow. And sometimes, to get through the sheer amount of music that I needed to, I would hold down a chord longer than I would now, and use that as a shortcut. I'd very quickly put eight chords down, two bars each, and then just draw controller information on them to put in some dynamics. "I got a TC Powercore PCI Element and ran TC's MD3 off that for mastering, which is basically a cheap way of getting a plug-in straight off the top-end System 6000. I also use MD3 to dither down to 16-bit, because the BBC's dubbing facility in Wales can't handle 24-bit files — they like 16-bit, 48kHz broadcast WAVs. There are a couple of things like MD3 which I used a lot because, over time, they just seem to have made the sound better overall, like the Manley Variable Mu stereo compressor on the inserts of my TLA desk." It was no surprise to anyone when a second series of Doctor Who was commissioned. Preceding it was the programme's first ever Christmas Special, which was also the first full episode for David Tennant, Christopher Eccleston's replacement as the Doctor. For Murray too, change was afoot, as a slight increase in the programme's music budget meant that he could afford a real orchestra for the first time. 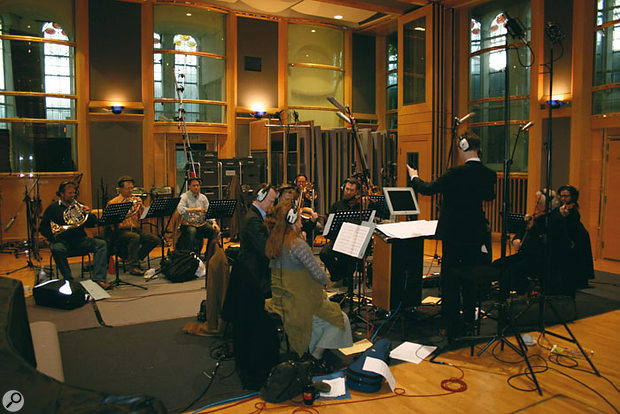 "I got one day with the National Orchestra of Wales to record the 45 minutes of music I needed for the Christmas Special, and used the afternoon of that day to re-record some of my favourite cues from Series One, which I also used in the second series, and eventually to make the soundtrack album. Later on in the second series, we had another day with the orchestra, to record 45 more minutes of music which I needed for the series finale. So I had about 90 minutes of orchestral recordings to draw on in the second series. But I was still completely dependent on samples all through that series." As I interview Murray, he's working on the third series of the programme, having completed a second Christmas special late last year. But the modus operandi for these latest shows has been quite different. "This series, the music is mainly acoustic — I'm not adding much in the way of samples. And we've got 10 sessions at AIR Lyndhurst with an ensemble of 12 players — a four-man brass section, a harp, and seven strings — and two full-day sessions with the National Orchestra of Wales again. Recording Engineer Jake Jackson and Pro Tools operator Sam Jones in the control room at the same session. Murray was watching and listening from New York via a web cam running on the laptop in the background.Photo: Richard Ecclestone"When we were doing the first series, I joked 'Can you imagine if we were doing this with a real orchestra? Nobody would be alive!' And that's what we're now able to do with the third series, because I've learnt so much. At the height of working on the series, I'm having to write, record and deliver 35 to 40 minutes of music every 10 days. But weirdly, because we're doing it acoustically, I now have more time. Ben Foster, who's the orchestrator for the National Orchestra of Wales sessions, is now doing the orchestration across the whole series. So I now write in the studio with a piano sound exclusively. Having a piano score is a tried and tested way of getting music to an orchestra, and of course, until fairly recently, that's how directors would have heard their scores for the first time anyway. "The music has become more individualistic and expressive. It's gone back to where I was with Vanity Fair to some degree: 'nothing to lose, go for it!' For example, with this year's Christmas Special, I made the music exuberantly orchestral. I was thinking 'I want to use everything! We haven't used woodwind much; I want woodwind all the time, like Leonard Bernstein!' That Special has some of the best music I've ever written in it, all set free on an orchestra." 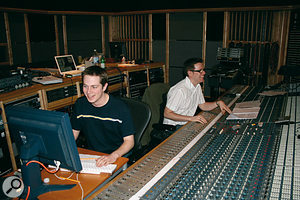 The diminishing need to complete entire sample-based scores in his studio has also made Murray more mobile — particularly as the server-based means of delivering his finished work to the BBC means that he can write his material anywhere in the world with a broadband connection. In early March, shortly after I had looked around his attic studio, he bought a flat in New York, and began dividing his time between there and London. When we spoke, he was looking forward to the changes this would bring about in his working methods. "They mix all the orchestral sessions at AIR, and send me stereo WAVs of those, so I do most of my work in my Macbook laptop now. To be honest, what I want to do is just buy a couple of things in the States and use those with the Mac. What I want is the Apogee Ensemble interface and that SSL Duende. That's all I need now." 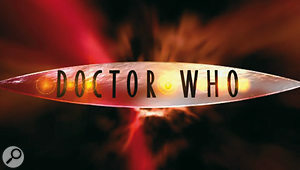 The CGI titles and logo created in 2005 for the programme's return. Murray Gold's new version of the theme was composed for use with these. Many composers, even established ones, would shrink from Doctor Who 's punishing writing and recording schedule, but Murray seems to thrive on it. "The fact that it's almost impossible to do makes me want to do it! After a while, you get to thinking 'If someone wanted me to do movie scores in a week now, that wouldn't be a problem." Murray already has one Hollywood film under his belt: Death At A Funeral, directed by Frank Oz, which he scored in the Doctor Who season break late last year. Does he ever stop? "Well, looking back on last Autumn, I suppose it was a bit crazy. One weekend in October, I was mixing a movie soundtrack on Friday and Saturday, I did a live concert of Doctor Who cues on Sunday and then we did the backing tracks for the Neil Hannon Doctor Who track at AIR after that. From September to December last year, I was living off the buzz of what I was doing, up at six o'clock in the morning every day to work. But the bottom line is that I love my job. It's great to sit down and think 'Now, what am I working on today?' and be really looking forward to it." He smiles. "But then... I do write the music for Doctor Who." To those of a certain age, the name of the BBC Radiophonic Workshop conjures up distant memories of an Aladdin's cave of electronic recording equipment, containing airport-runway-sized mixing desks, telephone-exchange-like modular synthesizers festooned with patch cables, and slowly rotating reels of two-inch tape. Since its final closure 10 years ago, much of the mystery has gone out of its story, with documentaries revealing what a frustrating and frequently dull place it could be, but to anyone with an interest in recording and exploring sound for sound's sake in the 1960s, '70s and '80s, it seemed as though there could be no finer place to work. Created in the BBC's Maida Vale Studios in 1958 to provide in-house sound design and music services for the corporation's radio and TV stations, the Workshop attracted many composers with an interest in sound and the then-popular discipline of musique concrète, or the art of producing sound and musical collages by manipulating analogue tape recordings of real instruments or found sounds. During the '60s, the Workshop staff used tape manipulation, editing and looping techniques, and basic filters and processors to create an amazing variety of soundscapes, special effects and collage-based melodies. 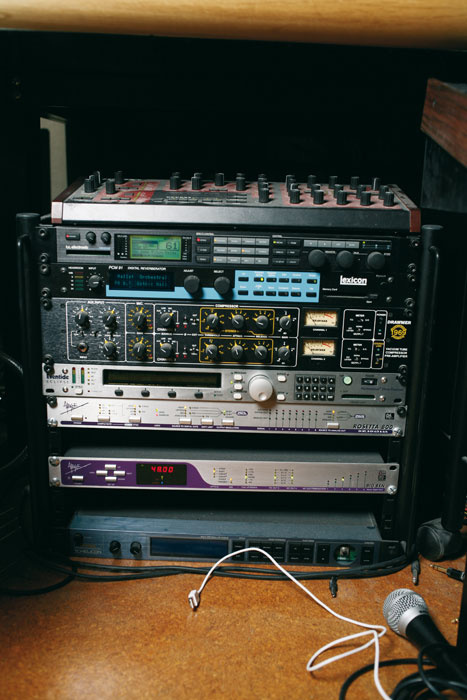 Throughout its existence, the Workshop was never lavishly funded, and it was many years before the staff even had access to multitrack tape recorders, which were considered a must for this kind of work elsewhere. 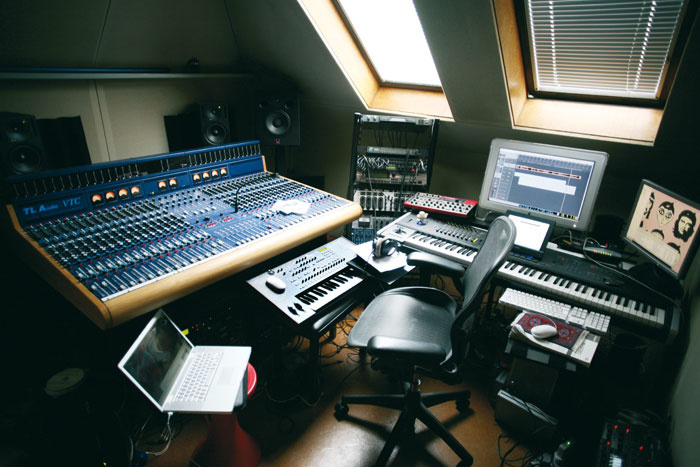 Analogue synthesizers arrived in the early 1970s, but as the price of hi-tech recording and processing equipment fell, the workshop became outgunned by better-equipped facilities elsewhere, and by the end of the '80s, it was losing work to freelance composers outside the corporation. Unable to pay its way in the new, budget-aware environment of the 1990s BBC, it closed in 1996. Fortunately, the BBC allowed a former Workshop employee, Brian Hodgson, and a young sound engineer, Mark Ayres, to rescue the Workshop's 40-year tape archive and begin the long process of cataloguing it. A Doctor Who fan himself, Mark soon became responsible for looking after all the Doctor Who music and sound effects libraries that had been held at the workshop, and making the sounds available to the BBC when they needed them for archive audio releases on CD. Two tapes he found were of particular interest to him — the original reels relating to the creation of the first version of the Doctor Who theme tune, an almost exclusively electronic composition realised in Summer 1963 by one of the Workshop's best-known team members, Delia Derbyshire. By conducting interviews with Derbyshire before her untimely death in 2001 and by thoroughly studying what was on the tapes, Mark was eventually able to work out exactly how the original theme had been created. See www.effectrode.com/making-of-the-doctor-who-theme-music/. Put simply, the original Doctor Who theme tune was a milestone achievement. For the full story, you really need to read Mark's article, but a shorter summary will suffice here in the interests of explaining just how difficult it was to realise the theme in Maida Vale in 1963. Saturday Night Forever... the Doctor Who titles that accompanied the longest-used edit and mix of Delia Derbyshire's original arrangement. This version of the arrangement was used between 1970 and 1979, while these titles were seen on screen between 1974 and 1979. Back then, nobody had yet invented the synthesizer under that name, although the Workshop owned several components that would be recognised as the constituents of a synth today, such as a white-noise generator, a free-standing LFO, a couple of EQ units, and some electronic oscillators, which had originally been acquired to produce test tones. Called upon to realise an original-sounding arrangement for the title theme of an eccentrically titled new children's sci-fi programme, Delia Derbyshire used all of this kit, plus a recording of a plucked string and some complex tape manipulations, to create the music. Theme composer Ron Grainer had written a very simple score, and was considering having the Workshop create a rhythmic backing over which he could then dub some ensemble instruments. Delia Derbyshire's completed recording convinced him that no real instruments needed to be added. Each individual note required for the score had to be individually recorded to tape in isolation. The white-noise whooshes and pitched electronic tones were output from the test-tone generators at the required pitches, for which the correct frequencies had to be looked up in log tables — fortunately, this came naturally to Derbyshire, who was a Cambridge maths and music graduate. The acoustic plucked-string recordings, which formed part of the arrangement's bass line, were pitched up and down by altering tape speed to give the required notes, and some notes were recorded at different gains to lend a sense of dynamics to the arrangement. When all the notes and sounds from all the instruments had been individually recorded at the right pitches and volumes, and to the correct durations, the note recordings were spliced together to form loops of tape, with each 'instrument' in the arrangement on one loop. If the Radiophonic Workshop had possessed a multitrack tape recorder, the rest of the process would have been fairly simple — but in 1963, it did not. To combine the individual instrument parts, Delia Derbyshire had to manually play back two recordings at once, and record the combined output on a third machine. Multiple bounces were required before all the instruments were layered on top of one another, and as there was no means of sync'ing the playback machines, it had to be done manually, by starting playback at the same time with both loops precisely cued and cut to the same exact length on both playback machines. Not surprisingly, many, many attempts and sub-bounces were required to get the multiple parts down to one precisely synchronised mono recording. Yet Delia Derbyshire achieved it, cementing forever her reputation as a determined and uncompromising electro-acoustic pioneer. She left the BBC in the early '70s, disillusioned that the use of synthesizers was eclipsing her beloved musique concrète composition techniques. The two reels found by Mark Ayres years later contained the individual instrument loops in isolation, as well as the completed composite mono reduction. Mark was able to digitise both reels, and create a 'virtual multitrack' on his DAW with all the individual parts sync'd on different tracks. 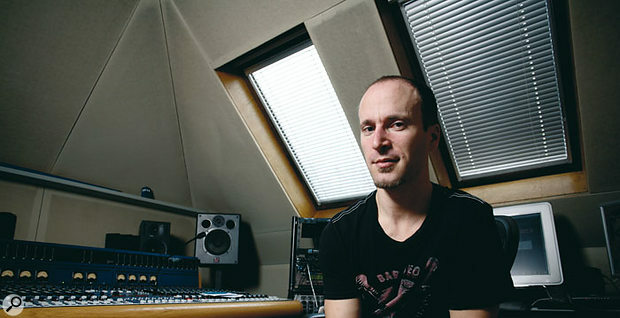 This also meant that when the new Doctor Who team decided to commission Murray Gold to produce an updated version of the theme for the 2005 series, Mark was able, in his position as the show's archive sound consultant, to supply Murray with WAV files of the individual parts making up the Derbyshire arrangement. Murray takes up the tale. "They decided they weren't happy with using the old theme. They kept saying things like 'We still haven't found something, so if you've got anything...' But I really didn't want to have anything to do with it. That piece is so complete on its own, it's like a piece of electronic art. And also, it's a piece in which the arrangement of the tune is everything, with no disrespect to Ron Grainer. So doing a new arrangement of a piece where the arrangement is everything... it's quite difficult, really!" Eventually, Murray agreed to try to create a new version of the theme, melding some of the original Delia Derbyshire arrangement with orchestral elements, like those used in the scores he was creating for the new series. "One day, the parts turned up on a CD; Mark must have sent it over. I used the electronic 'scream' at the start, the famous swooping top line, the organ harmony underneath, the bass line, and the 'time tunnel whoosh' at the very end." Murray then set to work, adding sampled instrumentation including cellos, timpani, horns and snares. 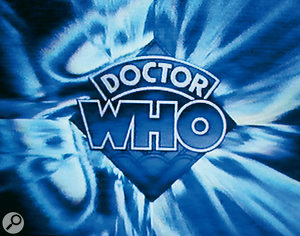 The results worked superbly with the energetic new series title sequence, but not everybody was pleased, especially some rabid Doctor Who fans. For my money, though, Murray's arrangement is the logical successor to the Derbyshire arrangement, which worked superbly with the show in the black-and-white, slow-paced show of the '60s, but would never sit with the breakneck pacing of the re-envisioned series. And it can even be argued that the new theme's blend of radiophonics and orchestral instruments is closer to Ron Grainer's original intentions for the arrangement!